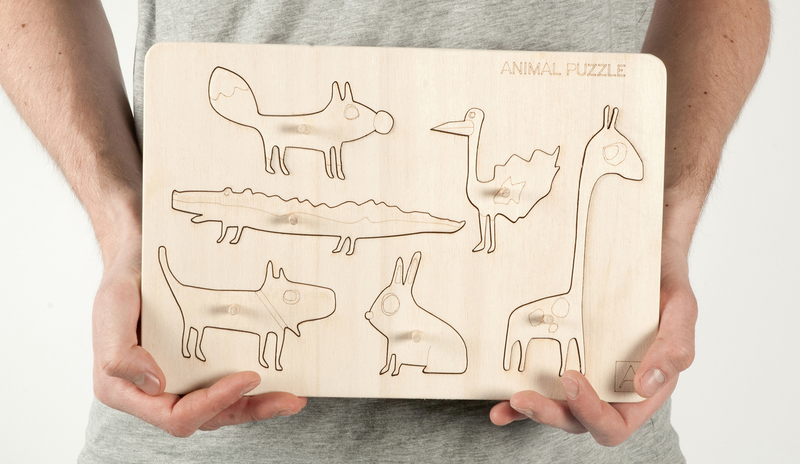 Animal puzzle is an educational game designed for small toddlers and playfull adults. 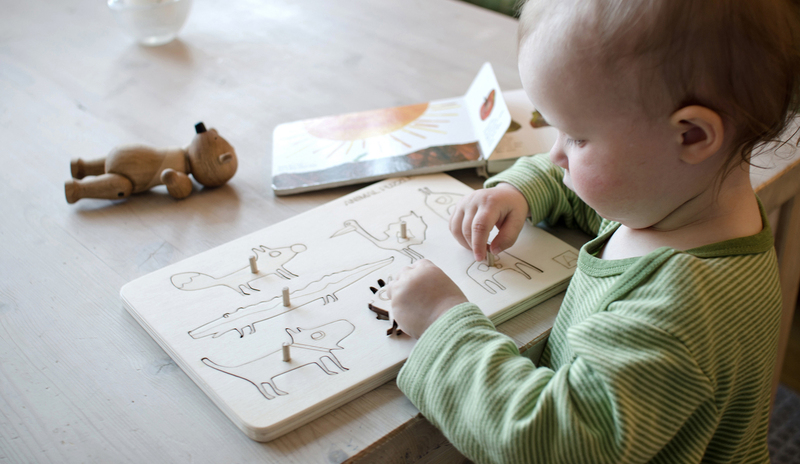 The game is produced in laser cut poplar plywood. The animals are all our friends and result of constant doodeling silly things.  Find out what each animal eats by lifting them up to reveal the snack of choice.  The Animas are also available as magnets. 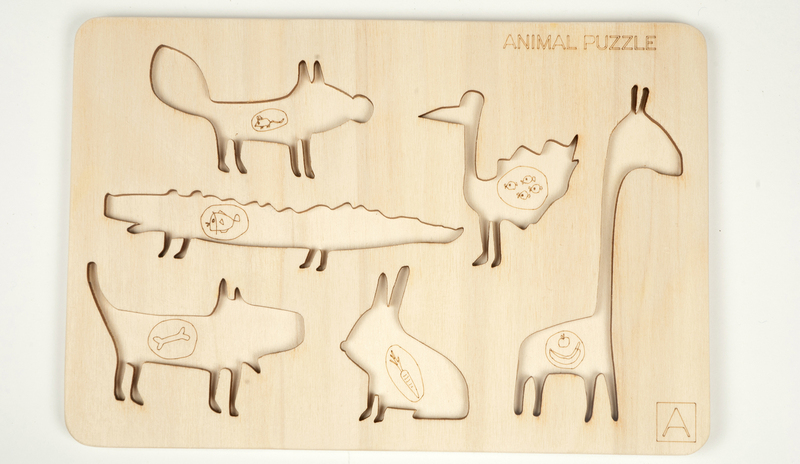 The animals adds character to your refrigerator. 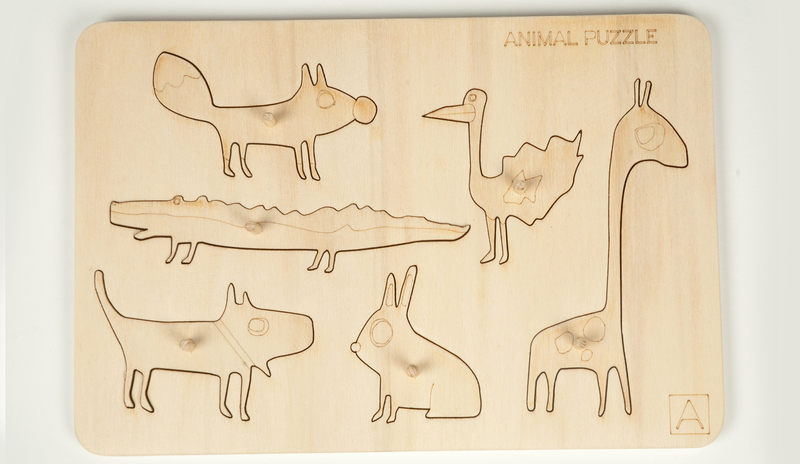 The set consists of ostrich, fox, dog, rabbit, giraffe and crocodile. 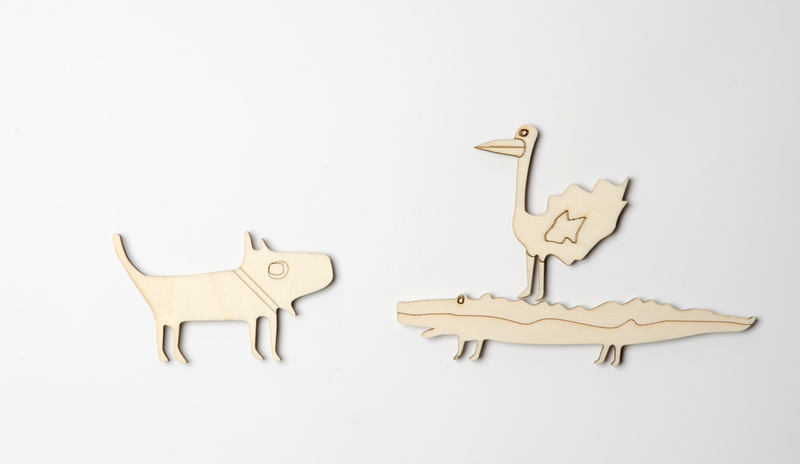 The animals are produced in laser cut plywood and are equipped with strong neodymium magnets. 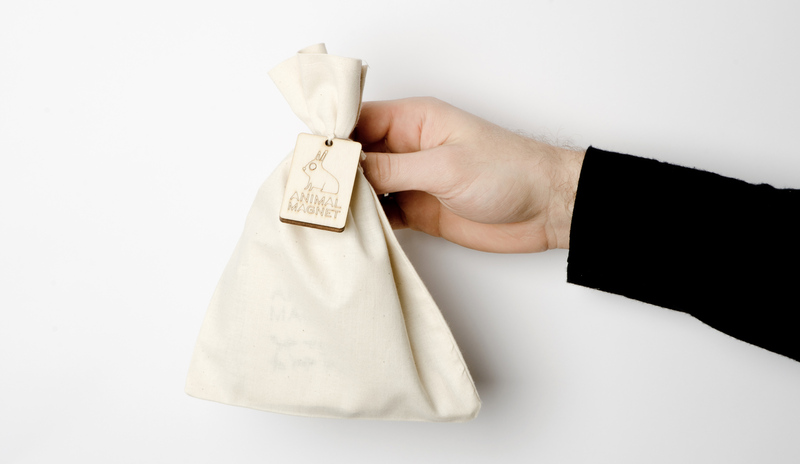 The animals are sold in a set of six in a sewn bag with laser engraved label. The magnets are currently being sold at DogA and Pur norsk. The animals are not for eating and are not suited for small children under five years. Keep the magnets away from pacemakers and other electronic devices. Do not eat the magnets.